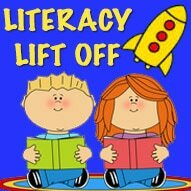 In First Class the children take part in ‘Lift Off’. In this literacy initiative all the children are individually tested in before the summer holidays, using the PM Reading Kit. They are then grouped according to their reading levels across all First Classes. Every week, the children get the opportunity to read two PM books at this level, one of which is brought home to be read with their parents for homework. They also complete a PM Writing assignment and engage in vocabulary and phonics work. The children are re-tested at Christmas, to gauge their progress and to re-group them accordingly. In this programme the class teacher is supported by three SEN teachers, usually within the class setting. A small group may be withdrawn to a Learning Support room if deemed necessary.